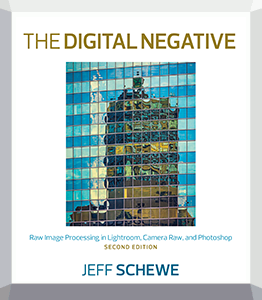 The Digital Negative 2nd Edition will be out shortly! The Digital Negative Second Edition left the printer last week! I received my Author’s Copies yesterday and Peachpit and Amazon should be getting stock next week. UPDATE: Peachpit has books to ship and Amazon will have them next week. I’m in the process of updating this site and adding new sample images. The new book’s Table of Contents can be dowloaded from here. It’s a 3MB download. Check back next week for further updates. Update as of September 8th, 2015: The new Sample Images have been uploaded to the Sample Images page.